A guide to the past, present, and uncertain future of the College's unprecedented penalties on members of single-gender social organizations. UPDATED: February 8, 2017 at 4:12 p.m. Eight months after the College unveiled a policy that will penalize future members of unrecognized single-gender social organizations, College students still face questions about how the sanctions will be implemented or what form they will take. Formulated behind closed doors by administrators, the policy has been met with protest, resistance from faculty, and—for three unrecognized student groups—changes in membership policies. Following a recent announcement that a new committee could revise or replace the sanctions, the future for Harvard’s Greek organizations, final clubs, and now, the single-gender social organizations policy itself remains uncertain. Breaking from the College’s near-three decade long pattern of administrative distance towards its unrecognized social groups, University President Drew G. Faust made the historic move in May 2016 to accept Dean of the College Rakesh Khurana’s recommended policy to regulate Harvard’s off-campus social life. The policy—set to start with the Class of 2021—will bar members of single-gender final clubs, sororities, and fraternities from holding leadership positions in recognized student organizations, becoming varsity captains, or receiving College endorsement for prestigious fellowships. What do people think of the sanctions? Many graduate board leaders of male and female final clubs, as well as Greek organizations' national chapters, opposed the policy. The sanctions garnered national attention and sparked strong opinions across campus, with opposition from many students, faculty, and outside observers, and support from some professors, varsity coaches, and members of the Harvard Corporation. Members of sororities and final clubs protest the sanctions in Harvard Yard. 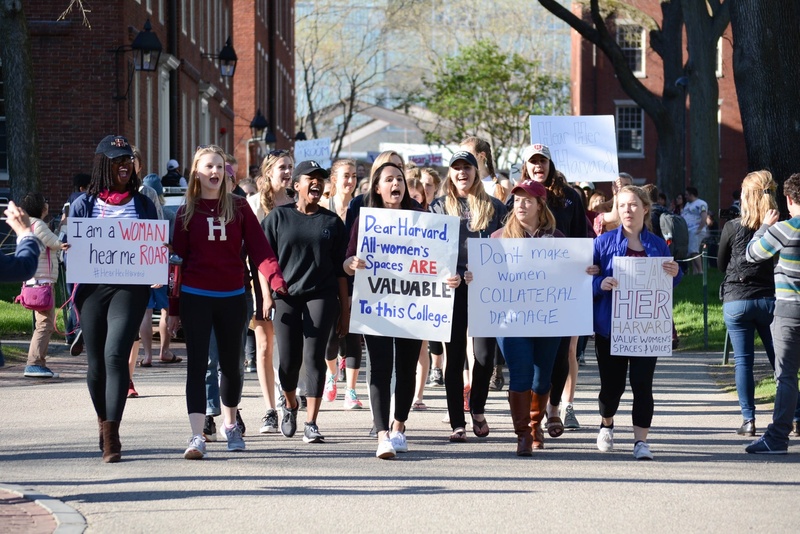 In one of the most visible shows of resistance, hundreds of Harvard women rallied against the policy in Harvard Yard a week after its announcement, arguing it unfairly grouped sororities and female final clubs with the all-male final clubs that had been the focus of most administrative scrutiny. Meanwhile, others at Harvard stood with the policy, arguing that gender discrimination and socioeconomic exclusivity plague the all-male final clubs. How did faculty members respond? But other professors, including Henry Louis Gates Jr. and Louis Menand, expressed their support for the policy at Faculty meetings. How many groups changed their membership policies? 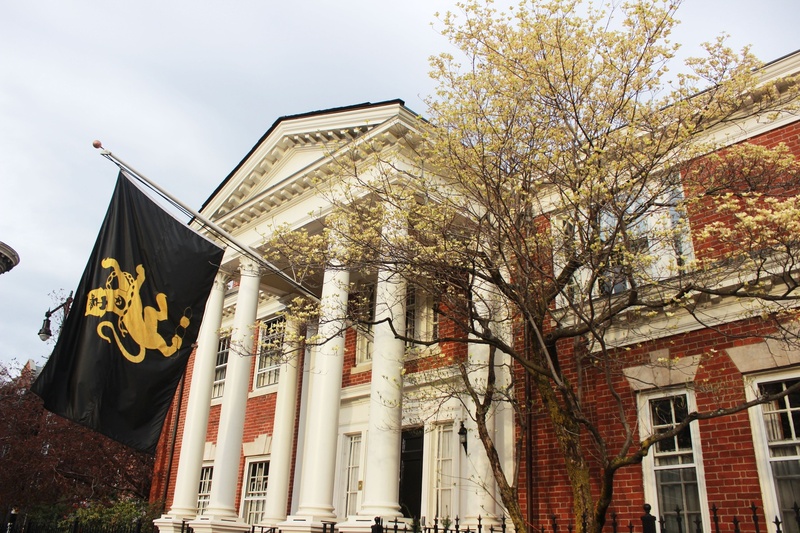 Three unrecognized single-gender social organizations, the Oak Club, the Sablière Society, and the Seneca, have announced plans to go gender-neutral since the sanction were announced. They join the Spee Club, which allowed women to join in the fall of 2015. Still, seven out of eight of the all-male final clubs remain single-gender—the Fox Club, which briefly flirted with the idea of admitting women, saw a co-ed motion shot down by club alumni. What did Lewis's motion mean for the sanctions? No one was quite sure. The motion ignited months of debate between University administrators and members of the Faculty of Arts and Sciences. 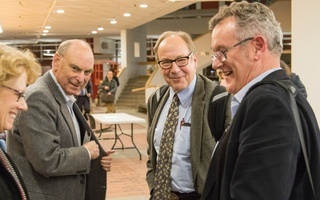 The Faculty delayed discussing the motion at its October meeting, held an animated debate about the motion in November, and were prepared to vote on the motion in a December meeting before the meeting abruptly ended at the regular end time, tabling further discussion until 2017. Former Dean of the College Harry R. Lewis '68. Several professors took issue with the language of Lewis’ motion, which does not refer directly to the policy itself. The Faculty Committee also declined to discuss the policy, citing the same concern. Lewis said he believed the motion, if approved by the Faculty, would strike down the sanctions. Faust, Faculty of Arts and Sciences Dean Michael D. Smith, and William F. Lee ’72, the senior fellow of the Harvard Corporation—the University’s highest governing body—stopped short of confirming this. Faust said in a November 2016 interview that the sanctions could be subject to change, while Lee said in December that the policy itself would not be revoked, though its implementation could determine its impact. How did the College plan on enforcing the policy? To implement the sanctions, Khurana assembled a committee of students, staff, and faculty members in Sept. 2016 and charged the committee with crafting recommendations about how to implement and enforce the policy. The 37-member committee, chaired by Douglas A. Melton, a Faculty Dean of Eliot House and a University Professor, and Kay K. Shelemay, a professor of Music and African American Studies, includes members of final clubs and Greek organizations and at least one athlete. As of January, the committee was on track to hand recommendations to Khurana within several weeks. What's the deal with the new committee? This committee will provide a more structured channel for faculty to voice concern, though it will still include administrators and students. 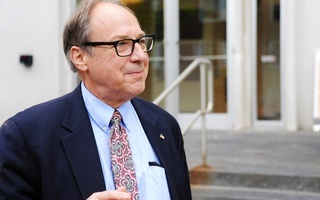 Smith will form the “faculty committee,” which will present recommendations directly to Faust. Khurana’s role in the new committee is uncertain. Under the new committee, no changes to the current policy could take place without Faust’s stamp of approval. 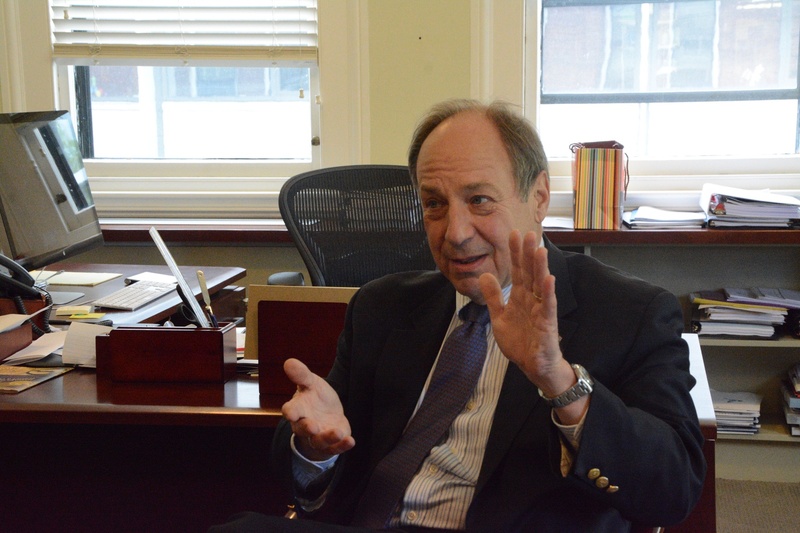 In an interview in January following the faculty committee’s announcement, though, Faust said she would welcome a change to the policy if it improved upon its original form. What happened to Lewis's motion? Will the faculty committee interfere with the implementation committee? Members of the implementation committee—which was close to presenting its findings to Khurana, according to Melton—were not consulted on the formation of the new committee and found out about it just ten minutes before the entire College. Nonetheless, the implementation committee will still present findings on the current policy to Khurana in the coming weeks, and the policy in its current form will go into effect as planned unless a new policy is approved. However, the faculty committee is scheduled to conclude its work in the fall semester of 2017, and it remains to see what policy the Class of 2021 will be subject to when they arrive—or how soon into their time at Harvard that policy could change. A previous version of this article incorrectly stated that final club affiliates played a role in formulating the sanctions. The Faculty Council’s newly-elected docket committee is set to consider a motion filed last spring that some professors believe could prevent College sanctions against members of single-gender social organizations from taking effect. As faculty debate whether the College should have a policy penalizing members of final clubs and Greek organizations, the senior fellow of Harvard’s highest governing body said the policy itself will not be revoked. Given the breadth of this policy across all unrecognized single-gender social organizations and its intrusion into student life, it is unfortunate but understandable that the sanctions have been at best a controversial move and at worst a public relations disaster.